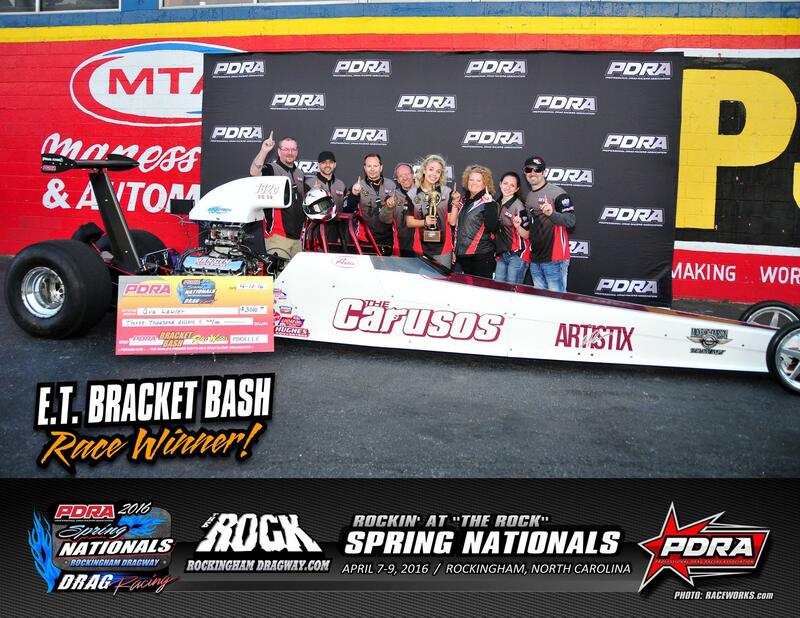 Apr.21.2016Grad Update – Caruso Family Racing! 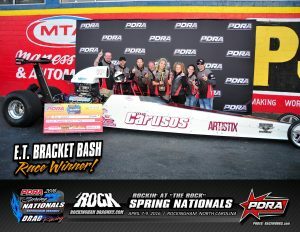 Marc Caruso knows drag racing. His father began racing at the age of 15 in upstate New York and Marc followed in those footsteps years later in his 1996 IROC Z. After racing his street car, he earned his Super Gas license at the age of 17 in his dad’s ’67 Camaro, which led to the purchase of a 1970 Chevelle. 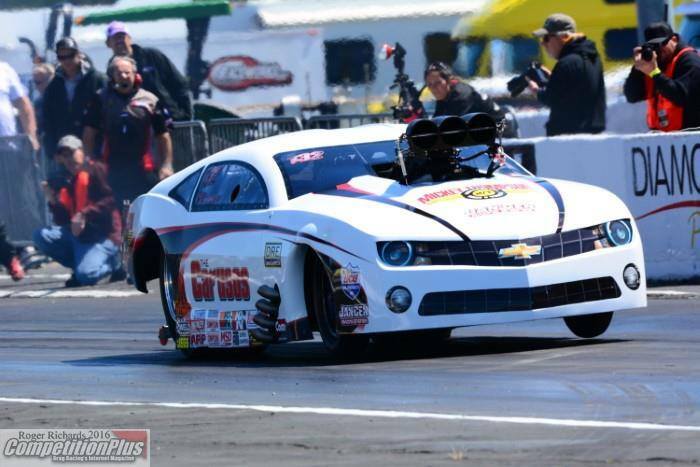 He raced 10.90 in IHRA events and won his first national event in 2000 at Norwalk. 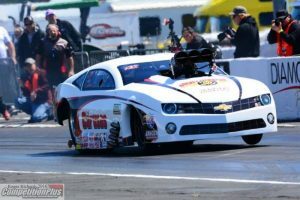 Following years of racing, national event victories, Marc said attending the Frank Hawley Drag Racing School upped his game even further. 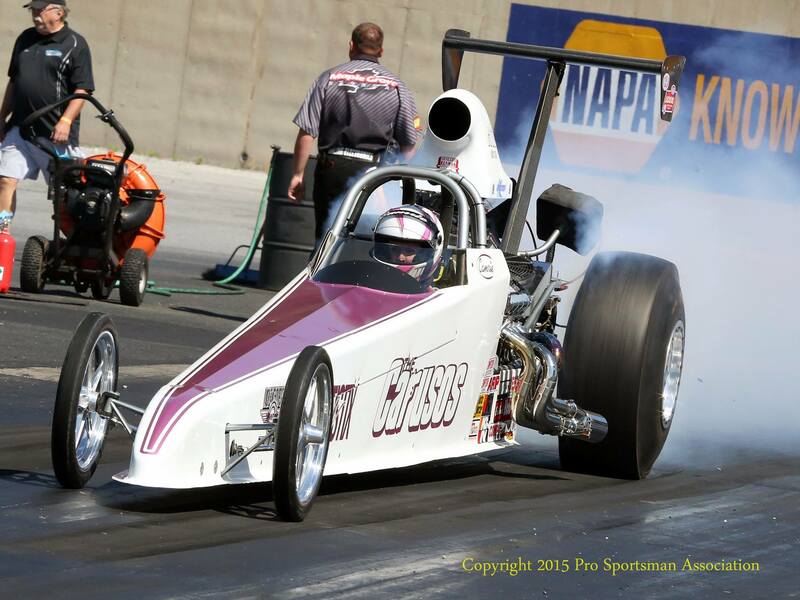 Camrie has competed in Super Comp and Top Dragster at Division 1 and Division 3 races and is waiting for the day she can join her father at the national events. When she found out she was going to attend the Frank Hawley Drag Racing School, she knew her racing future just got brighter. One of Camrie’s favorite aspects of the school is the post-run analysis done in the classroom. Making the run and feeling the car react is one thing, but to watch the lap on video afterwards with Frank providing expert commentary on what went right/wrong is invaluable for students. “During one of my passes,” Camrie said, “I didn’t go as straight as I could have. I remember my dad telling me after the school that Frank said ‘Don’t tell her what she did wrong,’ and my dad was confused because he said his stomach dropped and he wanted to correct me right away. He came back and asked how I thought it went and I knew what I did wrong and that was important. For Ava, her racing career started when she became a part of the Caruso family. Marc and his father, Joe, embraced Ava within their racing program and she said it had a profound effect upon her. “Being a part of the Caruso family not only affected my racing career, but it has also affected my life,” Ava said. “If it was not for Joe Caruso and Marc Caruso, I would not be who I am today. I am thankful for the support they give and the belief they have in me as a racer. Attending the school not only improved her racing ability, it improved her outlook on life. “Frank Hawley’s school influenced the way I drive a race car,” she said, “but it also influenced the way I look at life. Frank taught me how watching my mistakes would make me want to try even harder to focus and fix the problem. The advice he gave and the sharing of life lessons helped me understand what needed to be accomplished for my next run. UPDATE! At her first race of the 2016 season Ava won the 2016 “Bracket Bash Championship” at the PDRA Spring Nationals in Rockingham, NC! For more information on the school, programs offered, class dates and locations, visit www.frankhawley.com or call us at 866-480-7223! Follow us on Facebook, Twitter, Instagram, YouTube and Google+!